We are happy to meet with couples either by phone or in person, at no cost or obligation, to see if we are a “good fit.” Our personal meetings take place at my office in Johnsburg and will generally last about an hour or so. Yes. We require a $50 non-refundable deposit for most events. The date will only be reserved for 5 days without a deposit. The balance of the fee is due at the Wedding Ceremony or Rehearsal. Our fees vary, depending upon the package you have selected, location of the Ceremony, if we are to conduct the rehearsal, and other specifics of your wedding. What is included in your wedding services? According to your needs and desires; we prepare a custom Ceremony Script, perform the Ceremony, and file your Marriage License with the County in which you were married. We are Catholic but because of divorce we can't get married in our parish. Can we have a a Catholic-Style ceremony? Yes. We can perform a Full Christian-Style Ceremony that includes Communion. If we are not religious must we have prayer or scripture in our ceremony? No. Every ceremony we create is unique, just as every couple is unique. We are delighted to Officiate a non-Religious Ceremony if that is your preference. Definitely! That would be a wonderful addition to any Wedding. Many couples find it daunting to write their own Vows, so we offer several suggestions for them that they can use. No. This is completely up to you. It certainly depends on the type of Ceremony you are having though. We do believe that a Rehearsal does help ensure that your Wedding Day will go smoothly, especially if you are having a Traditional or Christian Wedding Ceremony or if you have more than 6 in your Wedding Party; but we do not insist upon having one. What happens during the rehearsal? You and your Bridal Party will practice those parts of the ceremony that require movement: The Processional, positions of Bridal Couple and Bridal Party, handing-off of the bouquet, exchange of rings, readings, any special rituals like the Sand Ceremony, Unity Candle Ceremony, Exchanging of Roses, etc., and the Recessional. Although that sounds simple enough, walking through these parts allows you to “get the bugs out” and also helps minimize Wedding-Day nerves! The minister will also be happy assist you but he is mainly there to guide you through the Wedding Ceremony. One hour of the Minister’s time is allotted for the Rehearsal. Although we appreciate your hospitality, we normally do not attend the reception. Does the minister accept a gratuity? As with all service industry professionals, gratuity is gratefully accepted and appreciated, but in no way is it mandatory. Gratuity should be based on the quality of service and just not expected by the receiving party. Do you have referrals we can contact? Many of our clients have offered, but we don't feel it is right to accept their generosity. A large portion of our clientele have been referred to us. 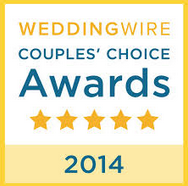 We do ask our couples to submit a Review on The Knot and Wedding Wire and we highly suggest that potential clients please look there or on our own page to see the wonderful Testimonials that we have received. Yes, "All Are Welcome" at Reverend by Request and always have been. Please check out our information on "EngaygedWedding.com" and contact us for additional information. We perform services in the Counties of Cook County, Lake County, McHenry County, Boone County, Winnebago County, DuPage County, Kane County, Will County and Kendall County. We include several cities in the Chicagoland area, but are not limited to: Addison, Algonquin, Alsip, Antioch, Arlington Heights, Aurora, Barrington, Bartlett, Batavia, Bensenville, Berkeley, Berwyn, Bloomingdale, Bolingbrook, Brookfield, Buffalo Grove, Burr Ridge, Carol Stream, Carpentersville, Cary, Chicago, Cicero, Crystal Lake, Darien, Deer Park, Des Plaines, Downers Grove, East Dundee, Elgin, Elk Grove Village, Elmhurst, Elmwood Park, Evanston, Forest Park, Fox Lake, Fox River Grove, Franklin Park, Geneva, Genoa, Glencoe, Glendale Heights, Glen Ellyn, Glenview, Grayslake, Gurnee, Hanover Park, Harvard, Hebron, Highland Park, Hillside, Hinsdale, Hoffman Estates, Inverness, Itasca, Johnsburg, Joliet, Kildeer, La Grange, Lake Barrington, Lake Forest, Lake in the Hills, Lakemoor, Lake Villa, Lakewood, Lake Zurich, Libertyville, Lincolnshire, Lincolnwood, Lindenhurst, Lombard, Long Grove, McHenry, Melrose Park, Mount Prospect, Naperville, Near Me, Niles, Norridge, North Barrington, Northbrook, North Chicago, Northfield, Northlake, Oakbrook, Oak Brook Terrace, Oak Forest, Oak Park, Orland Park, Oswego, Palatine, Park Ridge, Pingree, Plainfield, Richmond, Ringwood, River Grove, Rockford, Rolling Meadows, Roselle, Rosemont, Round Lake, Schaumburg, Schiller Park, Skokie, Sleepy Hollow, South Barrington, South Elgin, Spring Grove, Streamwood, Tinley Park, Vernon Hills, Villa Park, Volo, Wadsworth, Wauconda, Westchester, West Dundee, Westmont, Wheaton, Wilmette, Winnetka, Winthrop Harbor, Wonder Lake, Wood Dale, Woodridge, Woodstock, Zion. We also offer our services to many Southern Wisconsin cities, like: Beloit, Burlington, Delavan, Elkhorn, Fontana, Genoa City, Kenosha, Lake Geneva, Pleasant Prairie, Sturdevant, Union Grove, Walworth.